Mr V.N. Dubey, learned counsel counsel for the petitioners. The petitioners before this court have filed this present writ petition being aggrieved by the order dated 30-04-2016 passed by the sole Arbitrator (Respondent No.1). 2 Arbitrator by the impugned order dated 30-04-2016 has recalled his earlier order dated 21-04-2015. Being aggrieved by the recalling of the earlier order dated 21-04-2015, the present writ petition has been filed. 03. Learned counsel for the petitioners has argued before this court that once the arbitration proceedings have came to an end, keeping in view Section 32 of the Arbitration and Conciliation Act, 1996, the question of recalling the order dated 21-04-2015 and reviving the arbitration proceedings in absence of any statutory provisions under the Act of 1996 does not arise. He has prayed for quashment of the aforesaid order. proceedings and the same issue has been dealt by this court in the case of State of M.P. and another Vs. M/s R.B. Krishnanai in Arbitration Revision No. 9/2016 dated 03-01-2017. He has also argued before this court that once the the proceedings are pending before the Arbitrator, this court is jurisdictionally incompetent to interfere with the proceedings pending before the Arbitrator in light of the judgment delivered by the Hon'ble apex court in the case of SBP & Co. Vs. Patel Engineering Ltd., and another reported in (2005) 8 SCC 618. Reliance has also been placed upon the judgment delivered in the case of Lalit Kumar V. Sanghavi (dead) through LRs and another Vs. Dharamdas Vs.
Sanghavi and others reported in (2014) 7 SCC 255 and his contention is that writ petition under article 226 of the Constitution of India in respect of arbitration proceedings is not maintainable. 05. Heard learned counsel for the parties and perused the record. The matter is being heard finally with the consent of both the parties. or by an order of the arbitral tribunal under sub-section . for any other reason become unnecessary or impossible. 07. The aforesaid statutory provisions of law provides for termination of proceedings in case parties agree for the same as per section 32 (2) (b) of the Act of 1996. In the present case by virtue of section 32 in light of the compromise between the parties, the termination of arbitral proceedings, has taken place. order dated 19-03-2013 and the order passed by the Tribunal recalling the order of termination was subjected to judicial scrutiny and the Division Bench of this court has held that such a recall is permissible under the law. “02- The facts of the case reveal that the respondent had filed a reference under the provisions of Madhyastham Adhikaran Adhiniyam, 1983 against the State of Madhya Pradesh claiming a sum of Rs.3,99,30,145/- and the same was registered as Reference Case No.40/2006. The work in question was completed as revealed in the completion certificate dated 27/04/2007 and the respondent – Contractor before this Court has submitted quantified claim on 18/11/2005, which was not decided and therefore, a reference case was filed. 3- The facts of the case further reveal that on 19/03/2013 an application was filed stating that parties have entered into a compromise and the reference to be treated as withdrawn. The Tribunal has dismissed the reference as not pressed on 19/03/2013. 04- Thereafter, on 29/04/2014 an MJC was preferred for recalling of order dated 19/03/2013 and the Tribunal by an order dated 02/02/2016 has recalled the order. The present revision has been filed against order dated 02/02/2016. in light of Section 17-A, the Tribunal was not having jurisdiction to recall the award. “10. Contention of the applicant is that a fraud was played by the non-applicants whereby the applicant was persuaded to withdraw the ref. Case 40/06 on the ground that his 50%security deposit and performance guarantee would be refunded by 31.3.2013. This is so revealed in Annexure A-4 dated 13.3.2013. Additionally, the employer was to make arrangement for providing thrust blocks also. According to the applicant, the non-applicants failed to fulfill the promises; whereas the applicant under financial pressure agreed to withdraw the ref. Case. The non-applicants, having not fulfilled their commitment as per Annexure A-4 and A-5, have played a fraud with the applicant, in as much as, the applicant withdraw the ref. Case as not pressed on acting upon the promises of the non-applicants, which were never fulfilled. A-5 have also not been refuted, we do not feel it proper to issue any direction to the respondents, as prayed for in I.A.No.1, which accordingly stands disposed of. 12. As regards objection in the light of Sec.17-A of the Act of 1983, it may be seen that it prohibits the Tribunal from reviewing the award including the interim award. Dismissal of ref. case No.40/06 on 19.3.2013 is not pressed do not amount to an award and the MJC is, thus, quite maintainable. 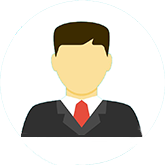 ensure the refund of 50% of the security deposit and performance guarantee, if so provided in the contract agreement and has no adverse impact on the work. The consent letter was also executed between the contractor and the Executive Engineer in this regard on 12.3.2013. This was all agreed, if the applicant withdraws the ref. Case No.40/06. 15. Relying upon the aforesaid, the petitioner/applicant chose not to press the reference petition and got it dismissed. It is not the stand of the non-applicants that they have fulfilled the promises mentioned in Annexure A-4 and A-5. Thus, it is revealed that the applicant was fraudulently persuaded to withdraw the ref. case. 16. The non-applicants have opposed the MJC on the ground that the ref. Case was not withdraw with liberty to file afresh, and therefore, the same cannot be restored. 07- The Tribunal has arrived at a conclusion that the order passed by the Tribunal earlier in respect of withdrawal of the reference does not amount to an award and therefore, the Tribunal has the power to recall its order in light of Section 17-A of the Act of 1983. Provided that the Tribunal may make an 'interim' award: [Provided further that the Tribunal shall give reasons in brief for an award including an interim award.] (2) The Tribunal shall, as far as possible, make its award within four months from the date of service notice of reference on Opposite Party. 3) The Tribunal may award cots and interest at such rate as may appear reasonable to it. [(4) The award shall be as per opinion of the majority of the members. If the Members of Bench differ in opinion on any point, the points shall be decided according to the opinion of majority if there is a majority, but if the members are equally divided, the point or points on which they differ shall be stated for reference of the case for hearing on such point or points by one or more of the other Members of the Tribunal, or by the Chairman himself, as the case may be, and then such point or points shall be decided according to the opinion of the majority of the Tribunal, who have heard the case including those who had first heard it.] (5) The award shall spell out clearly the relief granted, the Party in whose favour and against whom relief has been granted and by whom and in whose favour costs and interest, if any, are payable. (6) Copies of the award, certified under hand and seal of an officer of the Tribunal authorised in that behalf by the Chairman, shall be supplied to all the parties. No.40/2006 to its original number for being adjudicated in accordance with law. “19. High Court's power of revision.- (1) The High Court may suo motu at any time or on an application for revision made to it within three months of the award by an aggrieved party, call for the record of any case in which an award has been made under this Act by issuing a requisition to the Tribunal and upon receipt of such requisition the Tribunal shall send or cause to be sent to that Court the concerned award and record thereof: Provided that any application for revision may be admitted after the prescribed period of three months, if the applicant satisfies the High Court that he had sufficient cause for not preferring the revision within such period. (e) has made an award which is invalid or has been improperly procured by any party to the proceedings. the High Court may make such order in the case as it thinks fit. (3) The High Court shall in deciding any revision under this section exercise the same powers and follow the same procedure as far as may be, as it does in deciding a revision under section 115 of the Code of Civil Procedure, 1908 (No.5 of 1908). (4) The High Court shall cause a copy of its order in revision to be certified to the Tribunal. 12- In the present case, the impugned order is certainly not an award and Section 19 provides for a revision against an award. The jurisdiction of High Court under Section 19 of the Act of 1983 is quite limited. The High Court cannot exercise the powers of appellate Court as held by this Court in the case of Mahavir Construction Co. Vs. State of M. P. reported in 1998(1) MPLJ 69. 13- In light of the aforesaid, this Court is of the considered opinion that the present revision deserves to be dismissed and is accordingly dismissed. Certified Copy as per rules. “ 10. In the aforesaid case, the said Act includes a statutory provision which is a Section 17-A relating to Inherent powers and the Madhya Pradesh Arbitration Tribunal has exercised the inherent powers u/s 17-A of the Act of 1983. There is no such statutory provisions as contained under the Act of 1996 and, therefore, this court fails to understand that under which statutory provision of law the learned Arbitrator has exercised the powers by passing the impugned order dated 30-04-2016 and, therefore, the judgment relied upon by the learned counsel is distinguishable on facts. 11. Learned counsel has placed reliance upon a judgment passed by the apex court in SBP & Co. (supra). Undisputedly, during pendency ofarbitration proceedings this court does not have the power to stay or to interfere in the matter of arbitration as held by the Hon'ble apex court. However, in the present case, the order passed by the learned Arbitrator is nonest in law as the learned Arbitrator was jurisdictionally incompetent to pass the impugned order after the termination of arbitral proceedings and, therefore, the proceedings which are now pending before him can never be said to be a proceedings under the provisions of the the Arbitration and Conciliation Act, 1996. Infact, the impugned order and all further proceedings are null and void and therefore, the judgment relied upon is not applicable in the present case. 13. This court has carefully gone through the aforesaid judgment. The Hon'ble Supreme Court has taken into account the judgment delivered in the case of SBP & Co. Vs. Patel Engineering (supra) and once again held that interference by High Court under article 226 of the Constitution of India in respect of arbitration proceedings is not maintainable. 14. In the considered opinion of this court once the arbitral proceedings have come to an end by virtue of Section 32 of the Act of 1996, the learned Arbitrator has become functus officio and could not have passed any further orders and, therefore, the writ petition under article 226 of the Constitution of India is certainly maintainable in the peculiar facts and circumstances of the case. Do let us know what you think about this post and Please no spamming here. 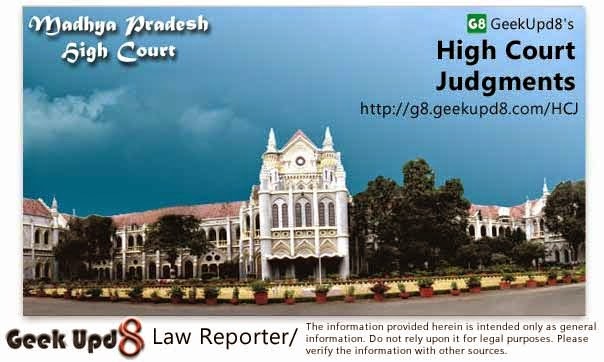 And in case you need any legal advice, please visit http://g8.geekupd8.com/forum.